Free-motion foot is adjustable so you can raise or lower the foot depending on the thickness of your ruler/template or the thickness of the sandwich quilt. 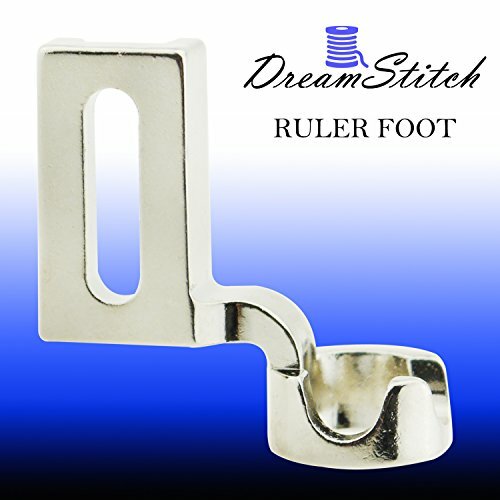 Made in Taiwan High Quality Premium Sewing Presser Feet From DreamStitch.RULER Foot with 1/4" wall to prevent the ruler from touching the needle. If you have any questions about this product by DreamStitch, contact us by completing and submitting the form below. If you are looking for a specif part number, please include it with your message.